Innocent Crush came out of the cupboard yesterday and made itself comfy on my kitchen table. Aren't those saturated colors gorgeous?! Anna Maria pushes me to loosen up and I love it! She brings out my inner Boheme. I visited and revisited her booth at market trying to soak it all in. It was like stepping into a whole new world. I going to let my hair down and let these fabrics shine. Big bold prints call for big bold quilts. DH bought this for me when it first came out. Life got really busy at the end of last year and I tucked it away on a shelf. Yesterday I started thinking about it some more. I am sure Anna's post here had something to do with that. : ) It was an armful of fabric and a lot heavier than I expected. I went to wash it and... DH bought half yards not fat quarters!! Oh my gosh! I cut the stack in two and washed one set for my project. The rest I set back on the shelf. I'm thinking there is more than enough to share... and over 500 followers... hmmm... stay tuned *wink wink*. You DH is a keeper! Well, wasn't that sweet of him! 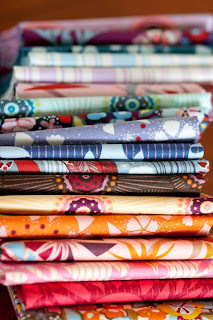 I *loved* that quilt when I saw it on Anna Maria's blog a couple of days ago! Is that what you're going to make? YUMMO! Beautiful fabric, and such a sweet husband! I still haven't done anything with Innocent Crush yet. But every time I walk by and look at it on the shelf, I swoon a bit. It's gorgeous! I'm looking forward to seeing what you make with it! Oh, and I Looooooooooooooove The Innocent Crush! They are gorgeous colours !! Can't wait to see what you make with them. 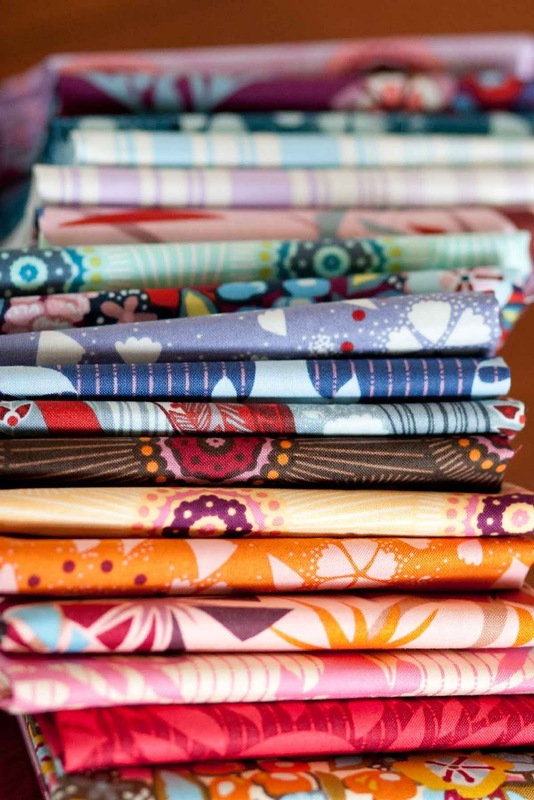 Isn't it great to find fabulous fabric stashed in the back of the cupboard? ?